SAN DIEGO, Calif. – Maryury Elizabeth Serrano-Hernandez was more than seven months pregnant when she left Honduras. At just 19, she and her husband Miguel Ortiz, along with their three-year-old son, traveled more than 2,000 miles in search of a better life. Sometimes they walked. Other times they relied on rides from strangers or traveled on crowded trucks used to transport pigs. They slept in tents on sidewalks and washed up where they could. At the makeshift camp, Serrano-Hernandez and her husband say they feared for their safety after being surrounded by Mexicans who weren’t happy they were there. Scared and outnumbered, they decided to cross the border illegally. “With the faith in God, I always said my son will be born there (in America),” Serrano-Hernandez told Univision, which documented parts of their journey. 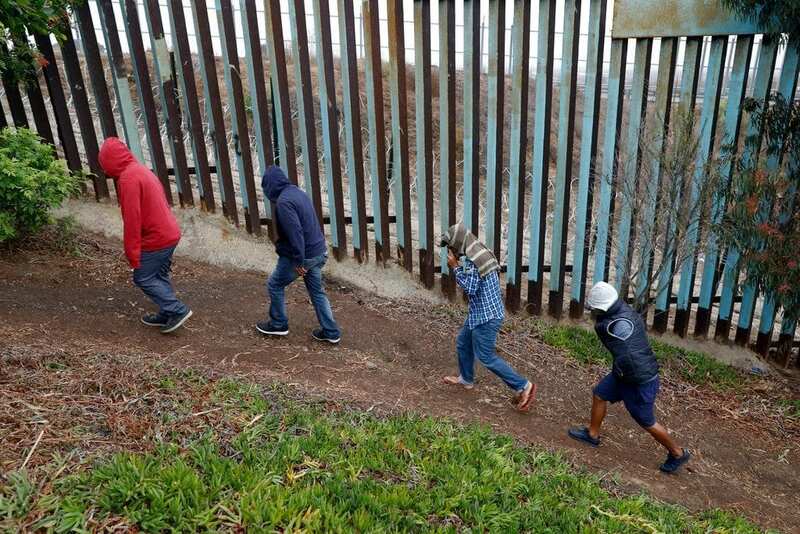 After somehow climbing the border wall, the young Honduran family were met by three border patrol agents who demanded they return to Tijuana. The family refused and asked for asylum. They were taken to the Imperial Beach Station in San Diego County for processing. She is believed to be the first member of the migrant caravan to have a child after crossing the border to seek asylum. Central American migrants walk along the U.S. border fence looking for places they might be able to cross, in Playas de Tijuana, Mexico, Wednesday, Dec. 5. The news comes after President Trump vowed to stop migrants from entering the U.S. He’s ramped up rhetoric about the types of people seeking asylum and claims many in the caravan are hardened criminals and ready to wreak havoc. He’s also sent thousands of troops to patrol the border.